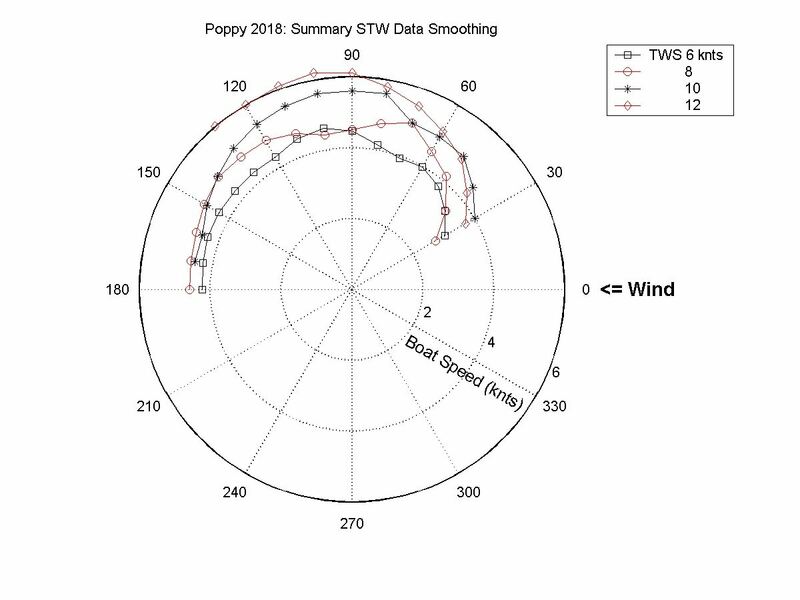 These polar diagrams were developed by Robert Self using the raw data from the JRA Performance Measurement Project Trials in 2018. 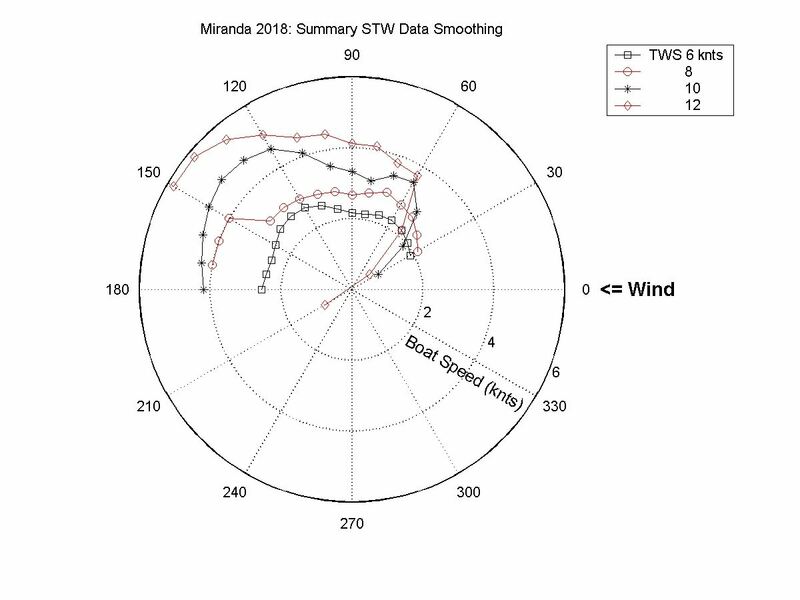 They are smoothed curves through the median points of the entire data set divided into 10 degree sectors using calculated True Wind Speed and Direction values. 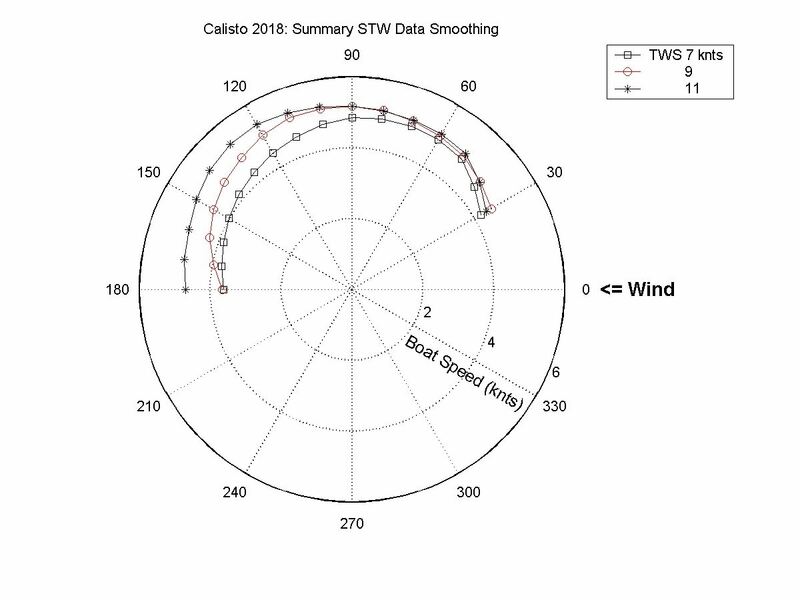 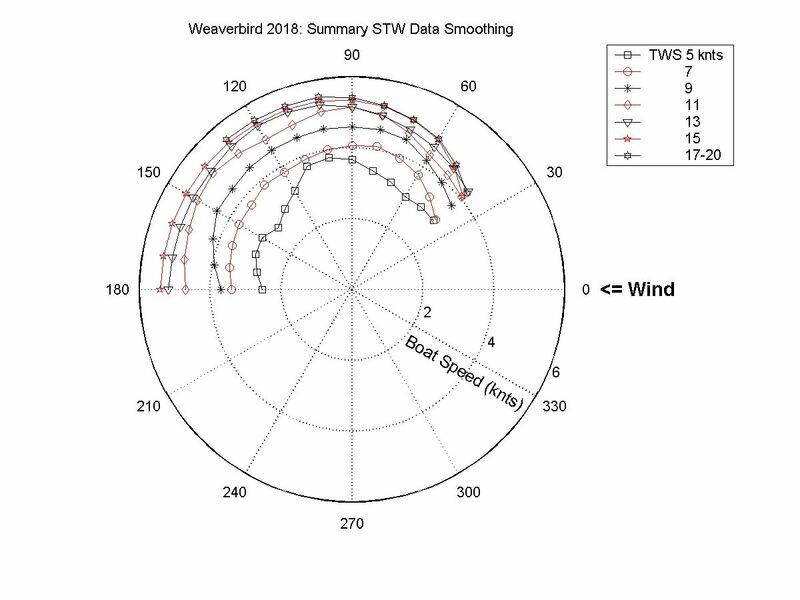 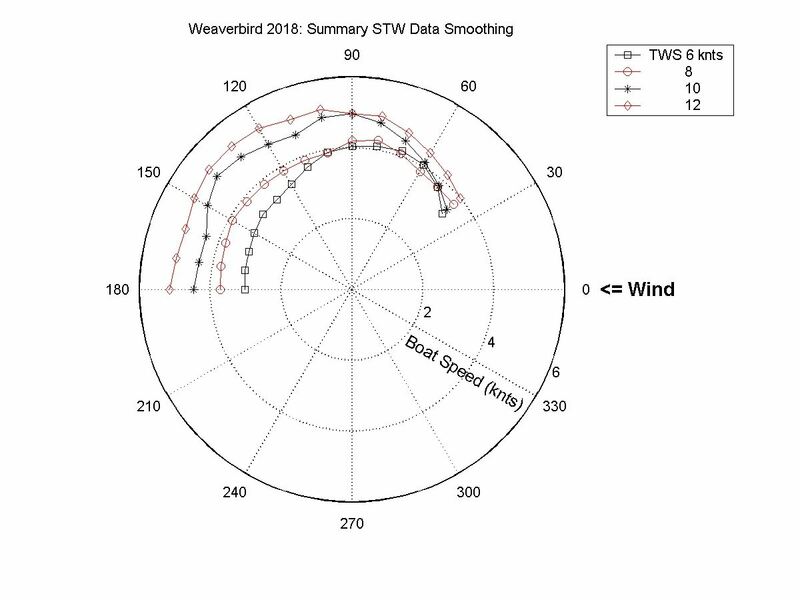 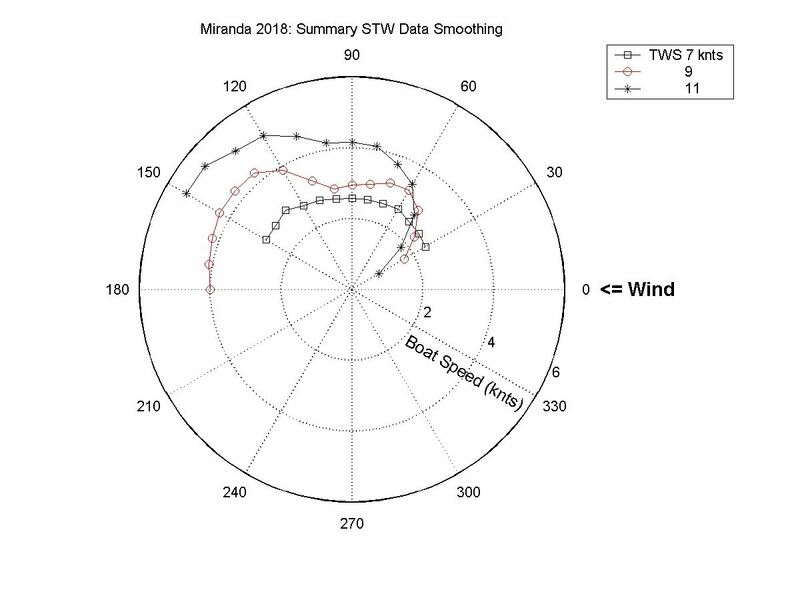 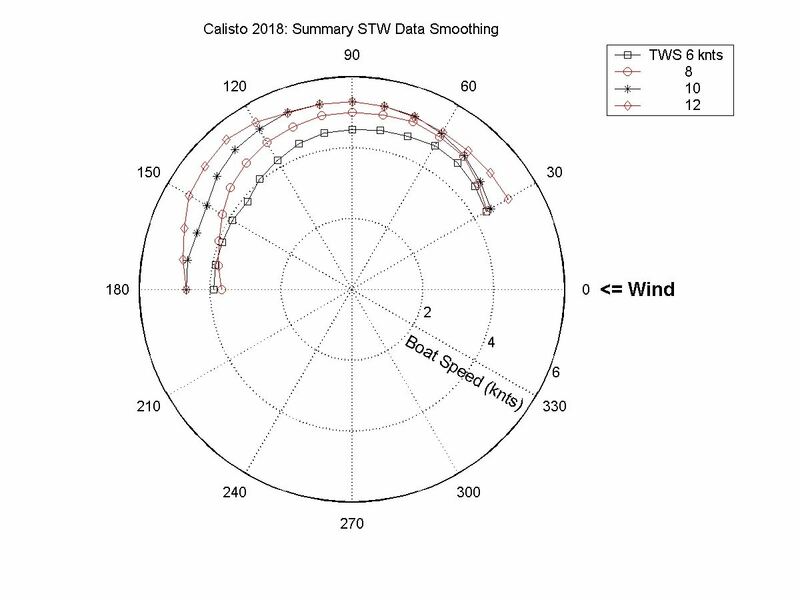 There are two diagrams for each boat, the first showing odd numbered wind speed curves, and the second showing even numbered wind speed curves. Port and starboard tacks are combined, not shown separately. 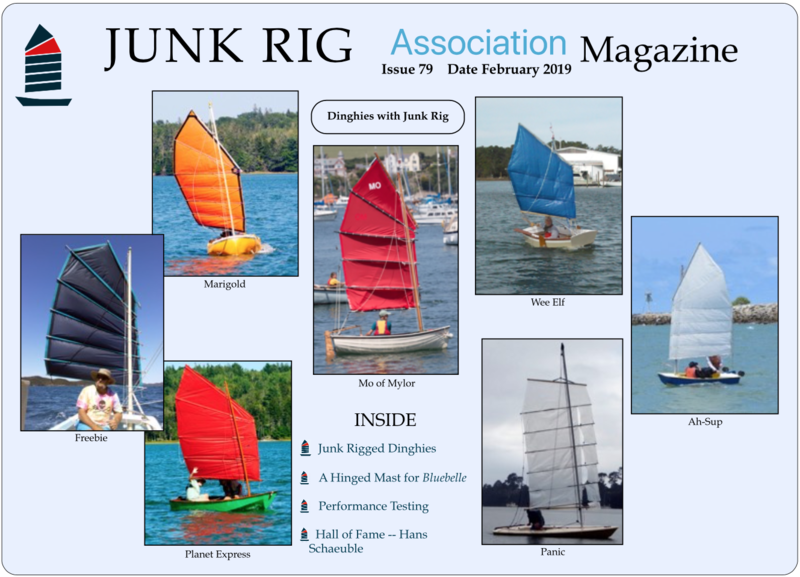 Weaverbird: Hunter Duette 23 with hinged battens junk rig.